Two beer brothers have launched a new festival in the North-east. 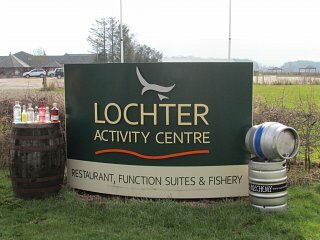 Beer The Barn Lochter, organised by Mungo and Guy Finlayson, will be held on Friday and ‪Saturday, April 22 and 23 (2016) at the Lochter Activity Centre near Inverurie and just a mile from Oldmeldrum. There are three sessions over the weekend starting on the ‪Friday (22 April) at 6pm until midnight. The festival will return on the ‪Saturday (April 23) for an afternoon session ‪between 12pm and 5.30pm and an evening session ‪from 6.30pm until 12am. A regular shuttle bus service will be available to take festival-goers from Inverurie town centre to Lochter Activity Park. 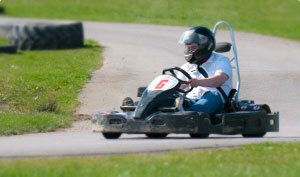 The bus will run every 30 minutes for the first two hours of each session and by demand thereafter. A return journey can be bought for £6. The Banchory brothers launched the first Banchory Beer Festival in 2014 at the Deeside Rugby Club pitches with no pre-sale tickets and no event management experience. The success of the first festival encouraged them make it an annual event as well as holding an Inverurie Beer Festival and two winter Beer @ the Barn in events in Banchory, held in February 2015 and 2016. Guy Finlayson, co-founder and director of drinks and MFGF Events, said: “We are delighted to be holding another festival, it really demonstrates the popularity of our events so far and that we are offering something a little different. Lochter Activity Centre too was shortlisted at the Aberdeen City and Shire Tourism Awards in November 2015. Details for the 2016 Banchory and Inverurie Beer Festivals will be released in due course – for further information visit www.banchorybeerfestival.com or www.inveruriebeerfestival.com.